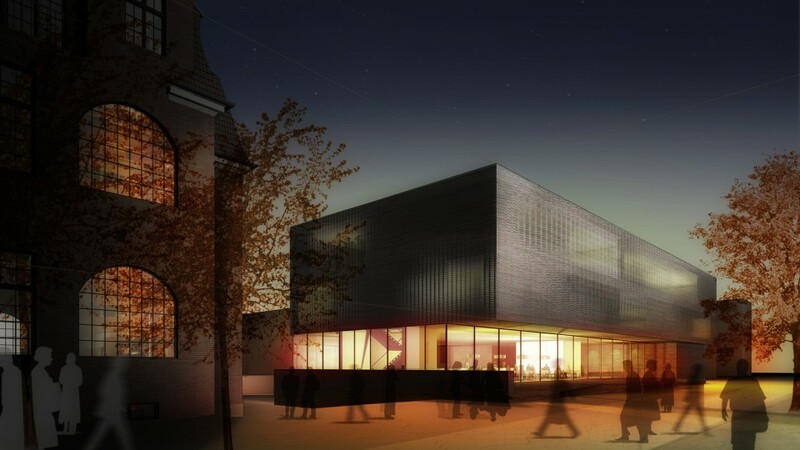 The angular building with library, university restaurant, event forum, computer lab, technical and studio space occupies the empty, undefined southeast corner of the plot and structurally completes the area. Together with the fully glazed foyer area, the restaurant and the cafeteria, a large staircase between the new build and the listed building by architect Fritz Schumacher establishes a connection between the bank of the Eilbek canal and the lower-lying university campus. 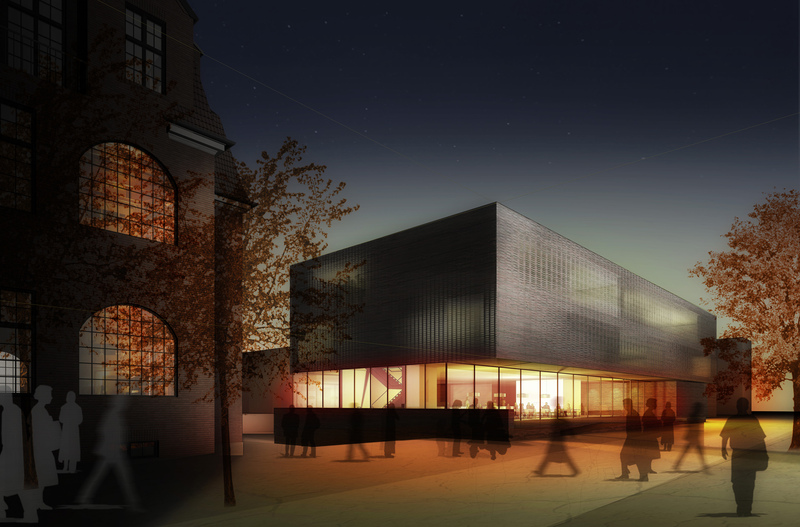 During darkness the activities within the library create a diffuse image on the perforated facade. The appearance of the building thus changes depending on the light conditions. The dominant brick facade deliberately places emphasis on the inner space, reinforcing the connection between the interior and exterior shell.